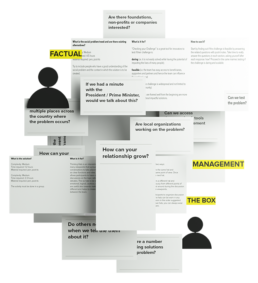 The Social Innovation Manual is an online, open resource available for innovators, intermediaries and public sector/private sectors to improve their skills in design for Social Innovation.  SIC, Social Innovation Community, is an EU project, funded to support the large community which is growing around Social Innovation,by creating spaces for them to meet and synergizeand tools to strengthen their efforts. The SIC Learning Repository is a bottom-up tool, which was developed and tested during a process of experimentation conducted in five host centers across Europe (ITALY 1, ESTONIA 1, CROATIA 2 and NORWAY 1). The repository provides tools that support the growth and development of social innovation starting from specific social challenges. The SIC learning repository contains the following: the handbook of social innovation in which learning materials and tools can be found on how to develop social innovation; the collection of tools used during the SIC experimentation mentioned above; a list of resources outside the SIC world useful to further support learning on social innovation; and the collection of SIC case studies on social innovation, which was developed to understand the process of learning at work when starting aSI in different contexts. Mediator/facilitator of the learning process that works with different target groups or facilitates the cross-sector and/or cross-thematic groups with a goal to raise their capacity in the area of social innovation and leaves them with tools to continue implementing the process of social innovation on their own. Public government agencies, local, regional and national governments, public institutions and private sector actors with a commitment to supporting social change like non-profit organisations, charities, co-operatives and social enterprises. They will most likely need a facilitator/intermediary to support the process. this could be an individual, a team, a local community (represented by an individual and/or a team) that would like to embark on this process on its own or use a facilitator. They are likely to select the tools that best suit their context. The focus of the Recruiting social innovators module is to provide Innovation centres with the right tools to identify and attract a large number of social innovators and potential innovators who already have some innovative ideas or have already started developing initiatives, projects and/or products. In this open and targeted way, the Innovation centre can reach out to unusual suspects, rather than a group of organisations and/or social innovators who already understand and are developing their social innovations. The modules are structured in a logical and systematic way with concrete and practical tools that will help in both preparing and executing the event (Social Innovation competition). This event will also help participants (social innovators and potential social innovators) to refine their idea so that the best ones could enter the full training cycle and receive additional assistance and mentorship support from the Innovation centre. Tools will help in designing the challenge, a call for ideas-entry form, social media campaign as well as defining the selection and voting criteria thus focusing on transparency and inspiration for innovators. In the Ideation phase, innovators will frame the social problem and define their customer/user/beneficiary. It is an exciting phase, in which discovery research meets the first moment of convergence, transforming into ideas. In ideation, innovators will learn how to use tools that help frame the problem at hand by looking deep into the many underlying factors. Once the problem has been explored and fine-tuned into a precise challenge, innovators can advance into the idea generation module, in which, innovators will learn brainstorming techniques and how to come up with ideas to solve the problem through the aid of specific tools. Once a healthy amount of tangible ideas has been produced, specific tools will be offered to help select the most viable ones to be promoted to the development phase.